The first, and most important, thing to understanding how we become sinners is to understand that we are a spirit, soul, and body. The next most important thing is to understand that our spirits come from God immediately and directly when our bodies are conceived; our spirits do NOT come from our parents. This is where so many theologians have missed it and have formed horrible extra-biblical doctrines such as all babies go to hell when they die because they are born spiritually dead. If someone actually believes Calvinism’s Total Depravity, then they must make this conclusion that all babies go to hell regardless of anything else they may use to talk their way out of it. By the fact that they try to wiggle and squirm out when this subject comes up proves they know something is wrong with their doctrine but are unwilling to separate themselves from it, often due to pride. Once you have been taught Calvinism for years, and plus go and teach others Calvinism for years, it takes a big person to change direction mid-stream and go tell everyone you were completely wrong. Psa 139:13-15 KJVR For thou hast possessed my reins: thou hast covered me in my mother’s womb . (14) I will praise thee; for I am fearfully and wonderfully made: marvelous are thy works; and that my soul knoweth right well. (15) My substance was not hid from thee, when I was made in secret, and curiously wrought in the lowest parts of the earth. The word “reins” speaks of the inward man or the spirit man. God creates our spirit man and covers it with flesh in the mother’s womb. The World English Bible says, You formed my inmost being. That is referring to the spirit-man which comes directly from God. Zec 12:1 KJVR The burden of the word of the LORD for Israel , saith the LORD , which stretcheth forth the heavens, and layeth the foundation of the earth , and formeth the spirit of man within him. Heb 12:9 KJVR Furthermore we have had fathers of our flesh which corrected us, and we gave them reverence: shall we not much rather be in subjection unto the Father of spirits, and live? Who is the “Father of Spirits”? Was it our parents? No, of course not. God is the Father of our spirits. He alone created them. If He used our parents as a mediate way of creating our spirits, you would think that the Bible would say that somewhere. But the Bible is completely silent about such a concept. It is important to note here that Calvinism’s Total Depravity hangs ENTIRELY on this concept called Traducianism (our spirits come from our parents) about which the Bible is noticeably silent. Once you prove that our spirits come from God, then you must throw out the belief that our spirits are born spiritually dead. Mal 2:10 KJV Have we not all one father? hath not one God created us? why do we deal treacherously every man against his brother, by profaning the covenant of our fathers? This verse says we have one father. It is talking about our spiritual Father God. It denies that our earthly father was our true father. Why? Because the earthly father only gave us earthly flesh which will one day perish. However, it is the spiritual Father God that gave man his eternal spirit which is the real man. It is important to note that the word “created” in this verse is the Hebrew word “bara”. The word “bara” means to create out of nothing, without any pre-existent materials. We know that our bodies were created out of pre-existing materials, namely the dust of the earth. However, our spirits must have come from God, our spiritual Father, out of nothing, not from our parents. What we see here is that the LORD gives breath unto the people and spirit to them. The breath spoken of in the Bible is usually referring to the spirit. Such is the case here as is evident by the next phrase “and spirit to them that walk therein.” The Bible often emphasizes something through repetition of the same thought using different words. It is clearly God that gives us our spirits. But someone may object by saying, “God does that by using our parents.” However, that cannot possibly be true. Traducianism believes all spirits were deposited in Adam and they were dispersed to the offspring at birth. If Traducianism were true, then this verse could not possibly say that God gives breath unto “the people” and spirit unto “them” (plural) upon the earth. It would say God gives breath and spirit to Adam. The Bible is quite clear that God gives each individual their spirit from Heaven and not from the parent. Num 16:22 KJVR And they fell upon their faces, and said, O God , the God of the spirits of all flesh, shall one man sin, and wilt thou be wroth with all the congregation? This passage is incredibly clear that God created our spirits. Notice it says the spirits of ALL flesh, not just believers. The only way for God to be the God of the spirits of all flesh is for Him to have created all our spirits directly. It is impossible for a man to create a spirit; only God can do that. Flesh only creates flesh, and Spirit (God) creates spirit. Ecc 12:7 KJVR Then shall the dust return to the earth as it was: and the spirit shall return unto God who gave it. Where did everyone’s spirit come from? Was it Adam or our parents? No, obviously in the light of this Scripture we know our spirits come directly from God. Notice especially the word “return”. It cannot return unless it first came from God. Gen 2:22-23 KJVR And the rib, which the LORD God had taken from man, made he a woman, and brought her unto the man. (23) And Adam said, This is now bone of my bones, and flesh of my flesh: she shall be called Woman, because she was taken out of Man. Notice Adam did not say soul of my soul or spirit of my spirit. This passage implies that only the body is propagated not the soul or spirit from man to man. Arminius agreed with Pelagius concerning God creating man’s spirit directly, but he did not agree concerning Adam’s sin not affecting the human race with a sin nature. This author agrees Pelagianism is completely in error to believe Adam’s sin did not affect the progeny of Adam. That is one extreme view but on the other side is the extreme view of Augustianism and Calvin’s Total Depravity which says man is born completely depraved, spirit, soul, and body. The Bible is very clear that both of these erroneous views should quickly be discarded. We need to stay in the middle of the road with the Word instead of getting in the ditch on either side. Gen 1:26 KJVR And God said, Let us make man in our image, after our likeness: and let them have dominion over the fish of the sea, and over the fowl of the air, and over the cattle, and over all the earth, and over every creeping thing that creepeth upon the earth. Gen 9:6 KJVR Whoso sheddeth man’s blood, by man shall his blood be shed: for in the image of God made he man. Traducianists say God’s creation is finished according to Genesis 2:2. That means no new souls or spirits are created directly but are instead transmitted by natural generation just as the body is. However, Genesis 2:2 is talking about the physical creation being finished. Where in the Bible does it say that God has stopped creating spirits? God may still be creating angels for all we know, why not men? We do know for sure He is re-creating men’s spirits when they are born-again which proves God is not done with spirits. The word “souls” here means people, not necessarily spirits and minds, but more precisely the whole person. Even so, the souls were only souls after they were born. Simply put, man’s spirit and soul come immediately and directly from God at conception. The flesh comes from the parents. This is not ambiguously mentioned in the Bible but it is clearly stated over and over. Once you understand our spirits come from God, it proves our spirits are not born depraved – which completely annihilates all of Calvinism to it deepest root and foundation. Psa 32:2 Blessed is the man unto whom the LORD imputeth not iniquity, and in whose spirit there is no guile . Above are verses showing that the spirit-man of a sinner can be without guile. Pro 17:27 He that hath knowledge spareth his words: and a man of understanding is of an excellent spirit. Dan 6:3 Then this Daniel was preferred above the presidents and princes, because an excellent spirit was in him; and the king thought to set him over the whole realm. Man’s spirit can be excellent before they are born-again. Pro 29:23 A man’s pride shall bring him low: but honor shall uphold the humble in spirit . Man’s spirit can be humble before they are born-again. I use these verses to point out that man’s spirit does not become completely depraved even though they may be classified as sinners. God is the creator of man’s spirit directly. Man’s spirit is originally good because it comes from God. Every man’s spirit is born righteous and spiritually alive. Our spirits do not come from our parents and there is no Bible verse even implying such a possibility. This is where Augustinianism and Calvinism miss it. They assume man’s spirit is also depraved because it comes from the parents whom are depraved, but that is not found anywhere in the Bible. That is why they say babies are going to Hell if they die, but if they would simply believe what the Bible says, there would be no virtually no one debating against their theology. You see, it is God Himself that makes a man’s spirit. He only makes that which is good (Ps 5:4; Hab 1:13; Jam 1:17). The spirit of man is good for it is made after God. It is only when the spirit connects with the flesh and this world that things go wrong. Man’s spirit eventually becomes separated from God because of our conscious sin and could be diagnosed as extremely sick or weak. We die spiritually when we pass the age of accountability and knowingly sin. Next the spirit-man starts to become depraved meaning it takes on a sin-nature. 2Sa 12:22-23 KJVR And he said, While the child was yet alive, I fasted and wept: for I said, Who can tell whether GOD will be gracious to me, that the child may live? (23) But now he is dead, wherefore should I fast? can I bring him back again? I shall go to him, but he shall not return to me. David’s baby died in this passage of Scripture. Did the baby go to hell due to being born spiritually dead as Calvinism’s Total Depravity teaches? No! David said “I shall go to him” which means David will go to him when he dies. David went to Paradise , not Hell, when he died (Ps 23:6). Therefore, this is one example of a baby dying and not going to Hell. There is no difference between the spiritual condition of David’s baby and any other baby that ever died since the beginning of time. A baby’s spiritual condition is clean, righteous, and alive spiritually because God created that baby’s spirit. Joh 1:3, 4 KJVR All things were made by him; and without him was not any thing made that was made. (4) In him was life; and the life was the light of men. It is His very life that makes all men alive spiritually at conception and when we are born-again at conversion. He is the Way, the Truth, and the Life. He is the only way to the Father both for saved and unsaved. His Truth leads us to know the Father for He is the Word of God made flesh. He is the very Life, abundant eternal life, of God that is in every human spirit. Joh 3:3 KJVR Jesus answered and said unto him, Verily, verily, I say unto thee, Except a man be born again, he cannot see the kingdom of God . (LITV) Jesus answered and said to him, Truly, truly, I say to you, If one is not generated from above, he is not able to see the kingdom of God . We must be born from above to see the Kingdom of God . That includes the first time we are spiritually born at conception and the second time we are spiritually born at regeneration (even the word regeneration, often used by Christians to refer to salvation, implies we are gaining something we lost). Some think that this means man can get to Heaven on his own righteousness. But that is totally absurd. No man can get to Heaven on his own righteousness. We can only get to Heaven on Jesus’ righteousness. Our righteousness, produced from our works, is as a filthy rag in the face of God. It is Christ’s righteousness that makes us righteous before God. There is only one way to get Christ’s righteousness and that is to be born into it. We are born in Christ’s righteousness when we are conceived. This is not only due not to a lack of sin but also because we are born in the spiritual likeness of our Heavenly LORD Jesus. We are born again into Christ’s righteousness when we are regenerated and become new creatures in Christ Jesus. God commanded OT saints to kill the infants of the gentile nations they were invading. They were invading those nations because the gentiles had steeped themselves into unrepentant idol worship. Some assume that God told the Israelites to kill the babies because they were also sinners that God carried out His judgment upon. However, that is ridiculous. Babies have done neither good nor evil (Rom 9:11). 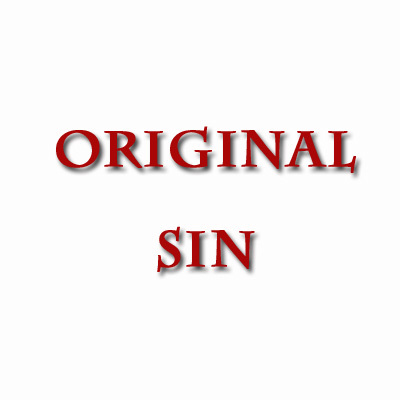 They were not sinners spiritually nor were they idol worshippers. But to understand this perplexing directive from God to destroy even the children of idol worshippers we must understand God’s perspective. Physical death happens to all. God permitted physical death to happen earlier for these children so that their spirits could go to Heaven to be with Him. This is actually mercy for these infants because if they would have continued in the idol-worshipping homes, they would have adopted the heathen practices of rebellion toward God when they grew up and would have been doomed to Hell forever. We make a big deal out of physical death but to God it is a small thing. To Him, what is important is spiritual death! 1. Arminius, James. Works of James Arminius, Volume 2 . Grand Rapids , MI : Christian Classics Ethreal Library, http://www.ccel.org/ccel/arminius/works2.html .